PIC: Josh Potier with his golden trevally caught from the shore. The school holidays are upon us and once again Exmouth is alive with visitors from far and wide. Reports of red hot fishing have been flowing in with some of the highlights being the marlin and sailfish, bottom bouncing and even trolling for the spanish mackerel and wahoo has been productive. 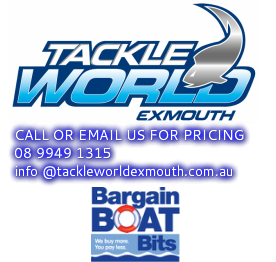 Young angler Nate Glover is on work experience with Tackle World Exmouth from Busselton. The lucky lad got to go out for one of his days off with the staff and caught himself his first marlin. We’d love to make a list of anglers that have caught their first marlin in Exmouth, as we believe it would the biggest list in the world! It pays to have a good selection of lures when chasing billfish. Mix up your spread and stay focussed, as even the best skippers can go for hours without a bite, then all of a sudden fish are coming up from everywhere. A couple of small yellowfin tuna have also been caught recently in the deeper blue water by anglers casting stickbaits at surface bust ups. The bottom bouncing has also been producing some quality captures with visiting angler Xavier Martinex catching an awesome eightbar in 320m of water and doing it on conventional spin gear; bravo mate. The 50-80m mark is still producing some awesome fish with the best baits being squid, occy, and fish baits. The Spanish macks have been showing up in good numbers and are a great target on lures. When trolling a couple of lures for these fish set one deep and another around the 2m mark, don’t forget to mark your gps when you hook up and troll back past the same place on the way home. If shore-based suits you better or you just want to take the groms fishing, you’re in luck. Exmouth and its surrounds have so much to offer, from whiting off town beach, mangrove jack, bream and estuary cod in the marina to Gt’s and queenfish from the beach; Exmouth has the lot. The marina has definitely been a bit of a stand out of late with good numbers of jacks still being caught, some really nice bream and a couple of cracking cod and flathead to throw in the mix. If you’re into a bit of surf fishing, Mildura wreck is producing some cracking spangled emperor on squid and occy baits, but is also a hotspot for popping or stick baiting. If you want to fish the wreck a good pair of booties and a low tide are what you’re looking for. In the gulf the crabs are definitely still on with the blue manners being the flavour of the month. In saying this unfortunately the prawns are hard to find, but should show up after the recent rains. 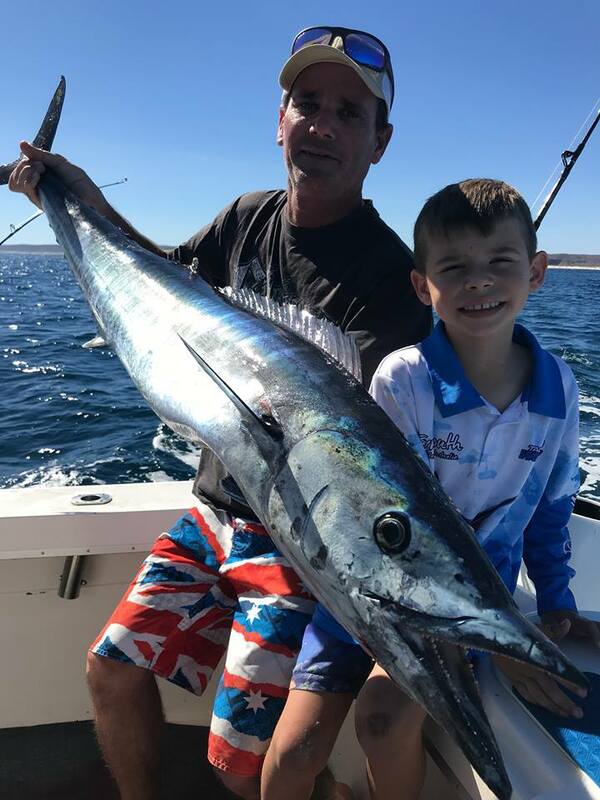 Josh Potier entered the fishing comp this month, along with a stack of others, including catches such as massive mackerel from a boat, bonefish off the beach, chinaman off the beach, bream in the marina, cod from the deep, two first marlin captures and tuna from the baitschools. Josh caught a 69cm golden trevally at Ningaloo Station using a 5-8kg rod with 20lb mono. He was using a hard bodied lure he picked up from the bargain bin and got an extra bonus with the fish pictured this week. It was an extremely challenging month for the comp, but the winner was Sam Magee from Queensland with his bonefish from the shore. 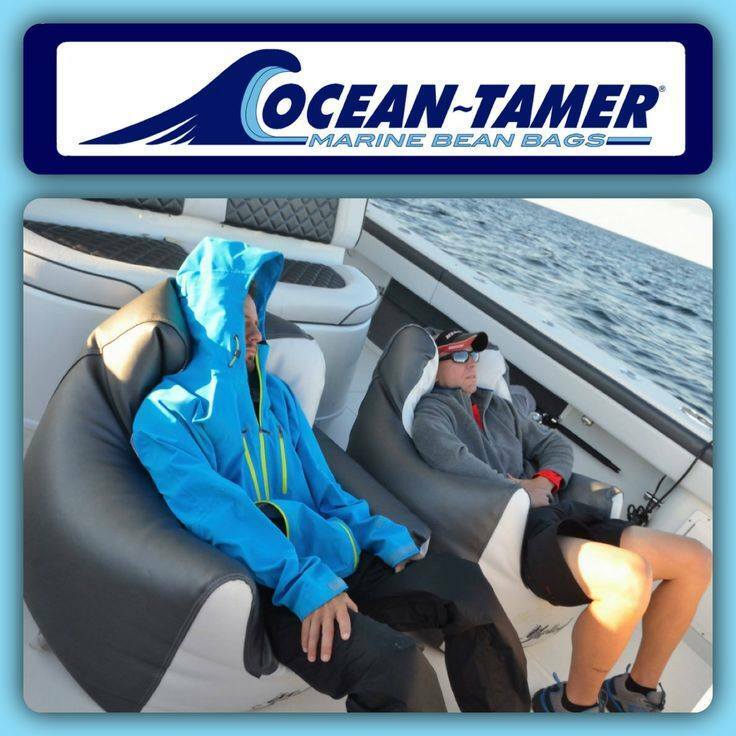 High quality durable bean bags for your boat. ​There's not much more comfort than a bean bag at sea! PIC: Slade Masters entered the monthly fishing competition with a red emperor caught during the school holidays. As the school holidays continue, the fishing is still in full-swing. The weather this week is looking magic so make the most out it, get out there with the kids, partner or loved ones, take it all in and enjoy it while it is so good. With the wind settling over the last couple of days, we have seen big numbers of boats hitting the blue water. The marlin have definitely slowed over the past week but the other fishing sure hasn’t. The tuna are out there and are in big numbers. Small yellowfin, longtail and mac tuna have all been caught over the last few days, mostly on stickbaits and slugs. If casting or trolling lures isn’t your thing than rest assured Ningaloo has you covered. The bait fisho’s have all been doing really well of late with some awesome fish been caught in that 40-60m mark. We’ve seen some great mixed bags this last week of trout, big spangled emperor, robertson sea bream, cobia and the list goes on. The baits doing the most damage at the moment are squid, occy and fresh strip baits. If your boat is not big enough, or you just want to stay inside the lagoon, then don’t stress, you’re still in for some awesome rod bending action. Spangled emperor are a great target for the whole family, they pull hard and can be found in good numbers inside the reef. A 20lb setup with 5/0 hooks, light sinkers, good bait and a light burley trail are the recipe for success. These fish can be even more amazing on poppers and stickbaits with big angry packs of lit up fish destroying your topwater surface lures in really shallow and challenging conditions. Did someone order squid? If you answered yes, then you’re in luck with Tantabiddi producing some great numbers of squid at the moment. Trolling squid jigs is becoming the go-to method for getting high numbers of squid. As always, look for the broken bottom and weed beds where the squid like to reside. If you’re just excited to get out and wet a line locally, the shore-based fishing in and around the marina has been consistently good of late. The car park at the game fishing club is a great place to start for the whole family, its sheltered, calm and produces some great fish. The best baits for fishing the marina are definitely the humble old prawn and maybe a backup of some mullies or mullet strips, -but don’t forget some burley. The northside break wall is also a great place to fish where you can expect to tangle with the likes of big queenfish, trevally and even the odd mackerel. By far the best and even the most productive way of catching these fish is on lures. Making the right lure choice on the day is key, somedays they want to eat plastics and then the next all they want is a topwater lure, get a selection and get casting. 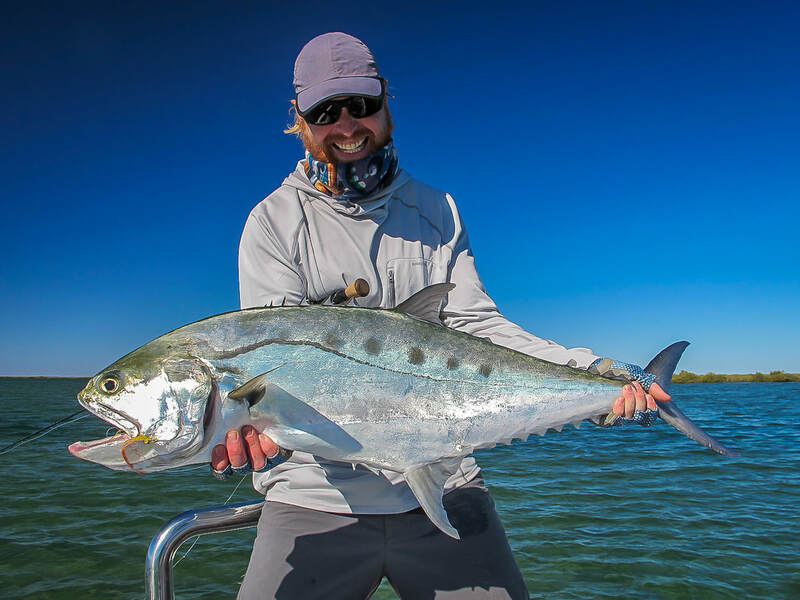 If fly fishing is your thing and you love saltwater fly you’re probably in the Exmouth region for a good reason. As hard as it has been on the flats of late, the Ningaloo lagoon systems are a world class fishery and hold great numbers of bonefish, permit, big giant herring, cobia and the list goes on.. One of the local gurus Brett Wolf from True Blue Bones had some awesome action this past week on good sized winter bonefish. Enjoy the last few days of the holidays and remember, every day’s a good day for fishing. Tight lines folks. 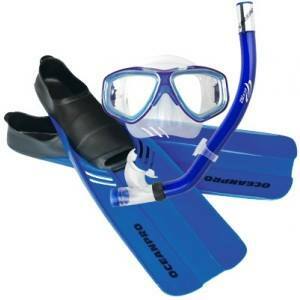 Ocean Pro Tour Fin, mask and snorkel sets. On sale. Best you will get on line elsewhere is around $60...! PIC: Jake Owens with his pending record of a big wahoo caught on 8kg line off the west side. The winter school holidays have come and gone for another year and Exmouth has really turned it on, once again. With the weather coming really good in last week, it gave people a chance to get out and enjoy their holidays on the water. 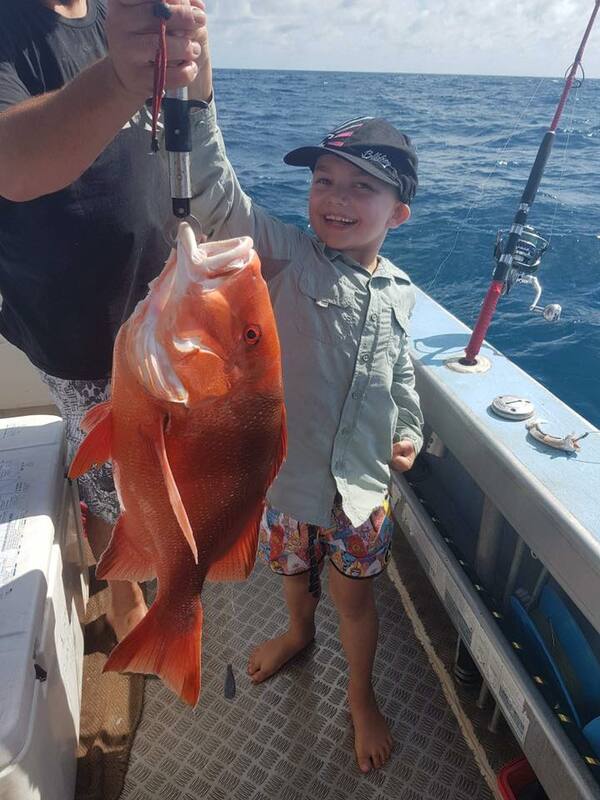 Young gun 6yr old junior angler Jake Owens returned for the school holidays with his brother Zac and hit the water straight away. This time Jake managed to get a pending state record of a wahoo on 8kg that weighed 10.9kg. Jake also caught some firsts with a Robinson sea bream, ruby snapper and red emperor. Zac didn’t miss out though, as he got a ripper yellow fin tuna, some ruby’s, reds and goldband, plus a sensational coronation trout. The boys did a day marlin fishing and got a couple of little blacks too. On top of that they also fished some creeks catching cod and camping with mates that made up an awesome two week of holidays that will leave some great memories forever. Spanish mackerel are around in good numbers with the colder winter temperatures. The stripped tuna are everywhere, with schools seen clearly on the surface feeding on tiny baits. The sailfish, marlin, yellowfin tuna, big dolphin fish, wahoo, sharks and all sorts are feeding on this bait too, so if the weather is good for even a few hours, you’d be mad not to get out amongst the action. If sports fish don’t tickle your tastebuds, then don’t worry because the bottom bouncers are rubbing their tummies with delight, from shallow water coral trout and emperor, right through to deep dropping for rubys, we’ve seen the lot last week. Of course, we all love our red emperor, and they too have also been showing up in good numbers, anywhere from 40-80m is an ideal place to start looking. A good squid or flesh bait of blue mackerel or scalies seems to be the go for these tasty treats and the by-catch when chasing reds can be equal or not far behind in table rating which make the variety very exciting. The lagoons inside the reef have also been producing some amazing fish with good numbers of golden trevally, queenfish, spangled emperor and blue bone all coming to the party last week. The golden trevally more commonly targeted as a sports fish, are amazing fun and can put up quite the fight. Not only will they take a well presented bait in a burley trail but they’ll be more than happy to destroy a surface lure or soft plastic. The blue bone (also known as black spotted tuskfish) are a favourite amongst locals and are quite a handful to catch. When targeting these cunning fish you really need to up the ante with strong hooks, heavy leader and the right bait on the day. But when you get to tangle with one of these thugs, you’ll see why they’re a favourite amongst many. Not to mention eat one! We thoroughly recommend using the whole fish, especially the bluebone head to make a fish chowder, which is delicious in winter. On the eastern side of the cape this week we have seen really cool captures with quite a few spanish mackerel being taken on stickbaits from the shore and a couple of big giant herring also showing up to play. The macks can also be targeted by drifting a mullie out under a float in an off shore breeze or outgoing tide. When using this technique you can also expect to catch big queenfish and trevally. If you’re just out to wet a line, as per normal the local marina has a myriad of options to choose from with the most productive method being bait fishing. Using a size 1/0 hook with a running sinker rig you can expect to catch from bream, cod, queenfish, emperors and the list goes on. Prawns are by far the way to go but it is also important to have a nice light burley trail to keep the fish interested and in your area. With the wind dying off the fly fishos were out to play. The tuna have been great fun on the lighter 8weights but be careful as there has been a few 30kg yellowfin also showing up in the mix. The deeper flats on the western side were an awesome place to be last week with great vis, neap tides and some amazing fish showing up from tailing goldens to skittish permit and some hungry bones all being seen and caught. Product of the week: Pelagic Hooded jumpers. Keep you warm as toast in winter or on the boat in the chilly wind. As the sun sets on another amazing week in Exmouth, looking ahead we can only expect to see more glam weather and great fishing. Like normal, the fishing is awesome, but this week especially we have been hearing some great reports from the west side right through to the gulf. Loads of mackerel, longtail tuna, and big queenfish are turning up in good numbers as the bait moves in. If you’re into bluewater bottom fishing you will be glad to hear the reds are also on the chew with not only the local charter operators doing well, but quite a few visitors going home with fond memories of tight lines and that ever exciting red colour emerging from the depths. Alongside the reds in shallow waters you can expect to catch everything from trout, spangled emperor, cod, trevally and the list goes on. In the deeper water you can find jobfish, Robinson sea bream, rankin and pearl perch mixed in with the reds. The spanish mackerel are definitely worth a shot if you’re looking to do some trolling, just remember the magic depth at the moment seems to be around that 15-30m mark and having the right assortment of lures to switch between your spread can make the difference between a waist of fuel and a day you’ll remember forever. Sadly, we have some reports of ridiculous amounts of sharks with one boat landing 1 mackerel from 17! The shark issue in this area continues and daily reports in to the tackle stores are sad at times. Reports state that lots of sharks means a healthy fishery and we believe it is the healthiest on the planet regularly. Inside the gulf this week we have seen a bunch of meter plus queenfish being caught with most of these fish being taken on lures. There is some awesome places were even quite the novice anglers can test their skills and attempt to tangle with one of these amazing sportfish from the shore. A great starting point is off the end of the Northern break wall in the marina. Learmonth jetty is another good place to look. You will need about a 10kg rod, 20lb braid, 40lb leader and a 100mm stickbait of your choice. Remember that queenfish are a super-fast fish and will often appear from nowhere so be prepared as they’ll often smash your lure right at your feet. The shore-based bait fishing has also been firing with flathead, whiting, bream and garfish all in abundance. The beaches just south of the marina are good place to look if you’re after the flathead and whiting with the best bait for flathead being mullies or local hardyheads and the whiting love a peeled prawn. Fish the incoming tide with a steady burley trail and wait for the bites to come flowing in. If some fresh blue manners or mud crabs sound delicious then the gulf also has that on offer. For the blue manners, a nice mullet bait in you net will work a treat, but if you have no crab nets then no stress as they can also be found in good numbers when wading the sand flats on a raising tide with a crab scoop. The muddies on the other hand are a different story, setting your crab nets in areas close to mangroves and mud gives you the best chance of success but if you’re up for the adventure why not trying to wade through the mud on the outgoing tide with a crab hook or scoop. Be prepared for a laugh with some mates and the Rid can be handy if the sandflies are about. For all you fly fishos out there you can rest assured this week has seen a lot more fish returning to the flats as the temperatures settle and the fish adjust. 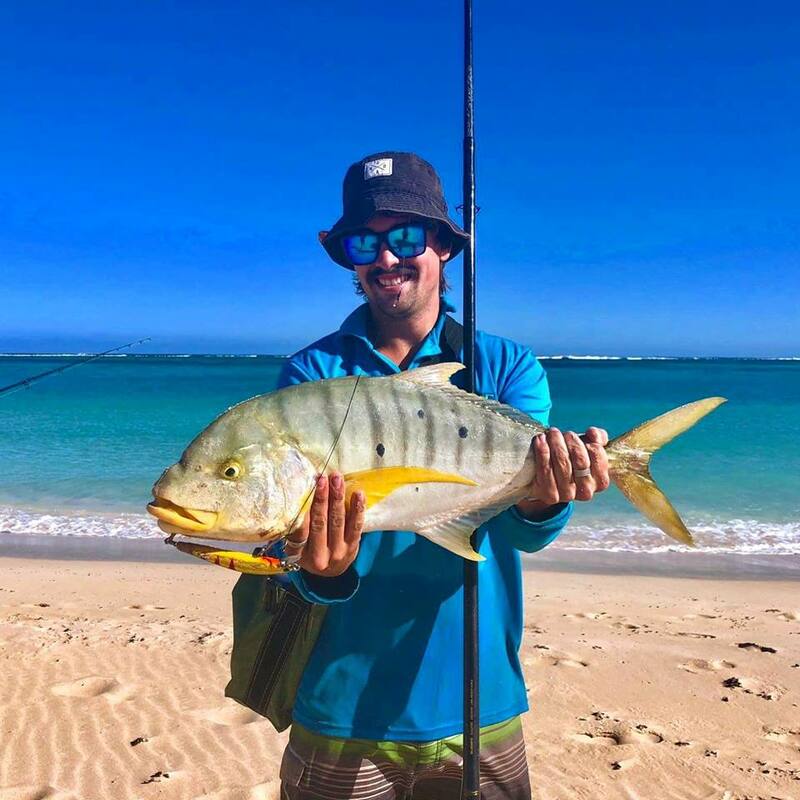 Good numbers of golden trevally, queenfish, giant herring and small gt’s have been seen or caught this week, with one of the stand outs being Mike’s 107cm queenfish caught in super shallow water with one of the local gun fly fishing guides. Knowledge is key in a place like Exmouth and nothing brings more success than understanding your environment and time on the water. PIC: Eddy Lawler and his pending record black marlin on fly caught by himself for a change! The amazing weather continues in the northwest while the southern regions get lashed with rain and cold winds. This has certainly encouraged many visitors to make the trek north and enjoy some great times out on or near the water. The caravan parks are certainly at the higher end of capacity and we are seeing many groups of anglers coming up while the school holidays are not in action. This influx of people, coupled with eth good weather has certainly given us some interesting reports on the fishing scene. The swell was talk of the town last week with massive surf lashing the west coast. Combine this with the full moon and big tides, and you have dirty water and not much fun for spearfishing enthusiasts. However, we do expect this next week to have some calmer conditions and less water movement, creating a much clearer backyard for spearo crew to enjoy. 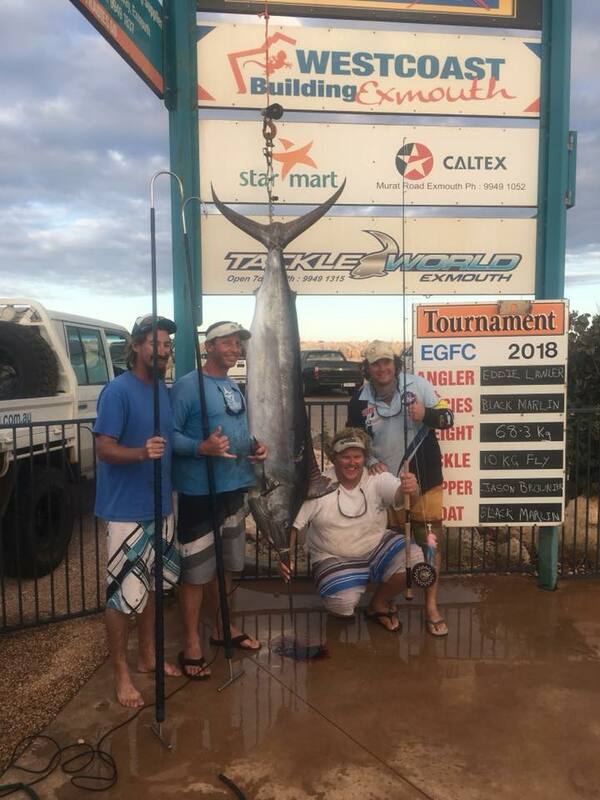 The big swell certainly kept many shore based anglers away from the tip of the cape and we are grateful for the Ningaloo Reef that kept the beach accesses safe for a chance to wet a line. Anglers fishing inside the reef this week reported on squid in areas south of Tantabiddi and spangled emperor from the accesses north of the boat ramp. The gulf shoreline has had some garfish close to shore and small trevally have been in the mix when cruising the beaches. Captain Eddy Lawler managed to get on the end of a rod himself this week for a change and landed a pending record black marlin on fly gear. The fish weighed 68.3kg on 10kg tippet. Catching fish on conventional tackle is challenging in itself at times, but to do it on fly gear is a whole new world. It takes a dedicated team effort and rules are strict for it to be passed by the game fishing associations. Congratulations to Eddy and the team for such a great achievement. The fish was filleted by Aaron Fitzgerald, who now offers a service to anyone for filleting fish and showing you how to make the most of your catch. This marlin was filleted and is being smoked, which we are dying to taste! Black Jack Lures and more in-store..